Vermiculite is a hydrated magnesium aluminum silicate mineral which resembles mica in appearance. It is found in various parts of the world including Australia, Brazil, Bulgaria, Kenya, Russia, South Africa, Uganda, USA and Zimbabwe. 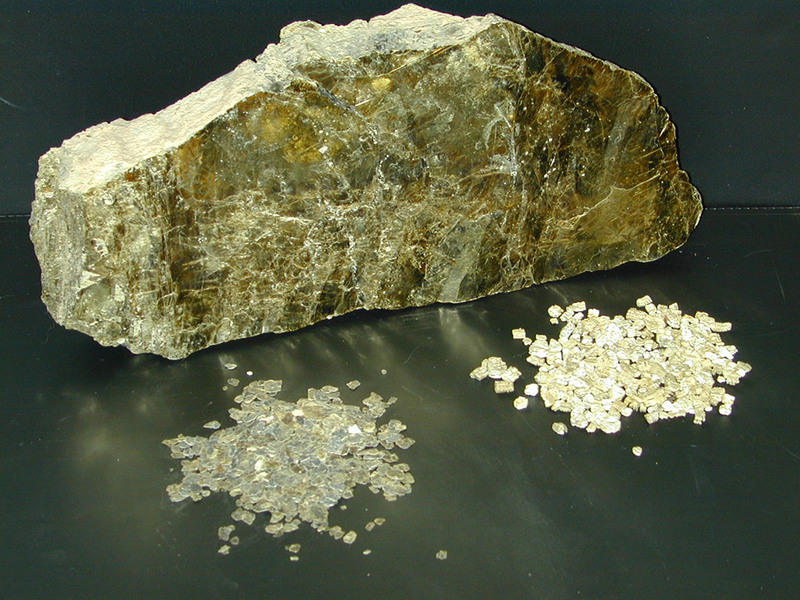 Vermiculite is mined using open cast mining techniques where the ore is separated from other minerals and then screened or classified into several basic particle sizes. Every care is taken in mining operations to minimize the impact on the environment and to restore land to its natural condition when mining ends. Vermiculite, when subjected to heat, exfoliates to form elongated concertina like particles which are lightweight, incombustible, compressible, highly absorbent, and non-reactive. Exfoliated vermiculite particles can have high cation exchange capacity and their surface chemistry may be modified. Exfoliated vermiculite is used in a wide number of markets including construction, industrial, horticulture and agriculture. TVA is professionally managed by Calabrese Management, an AMC Institute accredited association management company.